Treating venous reflux with medical grade adhesives. The VenaSeal System by Medtronic is an adhesive based treatment for chronic vein disease in the thighs and lower legs. 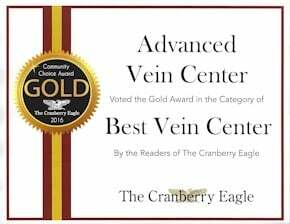 Specifically, this minimally invasive surgical procedure is approved by the Food and Drug Administration (FDA) to permanently eliminate varicose veins and venous reflux. Since venous reflux is the direct cause of the physical symptoms associated with long-term vein disease resolving it successfully is especially important. As mentioned, the VenaSeal procedure uses surgical adhesive to shut down veins that aren’t working properly. This adhesive is a cyanoacrylate, meaning that it’s in the same class as what is commonly known as “Super Glue.” It permanently bonds to the walls of the vein and can’t travel elsewhere in your circulatory system. 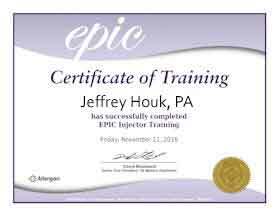 It’s also completely inert and won’t trigger allergic reactions or any type of immune response. It’s entirely safe, and in fact is commonly used in some types of brain surgery. Venaseal is even less invasive than its minimally invasive counterparts, Radiofrequency (RF) ablation and Endovenous Laser Therapy (EVLT). While Venaseal is a newer technology it’s expected to eventually eclipse both of the above treatments. The primary advantages of VenaSeal stem from its extremely noninvasive nature. Among others, these include very little pain or discomfort and very brief recovery times. How the VenaSeal System works. 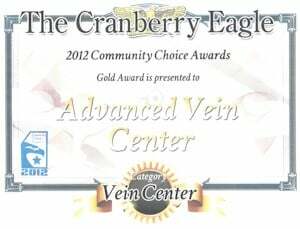 This procedure treats the symptoms of chronic vein disease, which is technically named Chronic Venous Insufficiency (CVI). 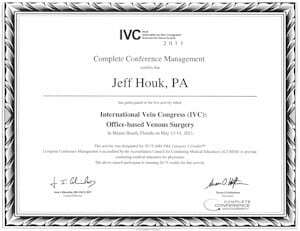 In plain language it eliminates CVI by sealing shut veins which aren’t working properly. While this may sound ominous the blood is automatically rerouted to healthier veins. This treatment doesn’t interfere with blood flow in the least and almost always improves overall circulation. VenaSeal works best on the larger veins of the thighs and lower leg. In the majority of cases this will be the Greater Saphenous Vein (GSV) or the Small Saphenous Vein (SSV). 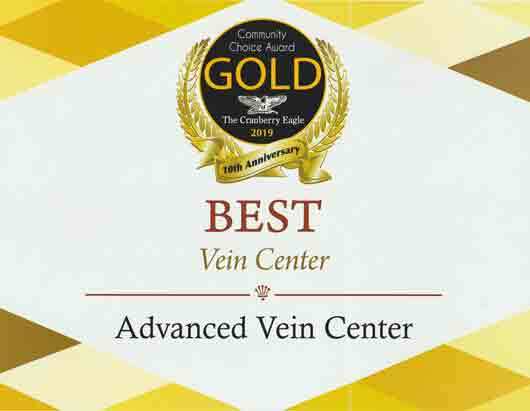 Since the saphenous veins connect to practically all other veins in the legs treating one or both can eliminate nearly all the symptoms of CVI. The VenaSeal Closure System can entirely eliminate or greatly relieve these symptoms by effectively treating venous reflux. Note that this stops the progression of vein disease as well. 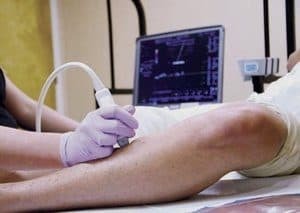 Almost all vein disease is diagnosed by an ultrasound exam. Doppler ultrasound can directly measure venous reflux, making it the ideal tool for the job. Unlike X-Rays there’s no radiation involved so the process is entirely safe. Your surgeon will then review the results of the exam to determine whether or not you’re a good candidate for the VenaSeal procedure. You won’t need to take any medications to prepare for VenaSeal. Only very small amounts of local anesthetic, usually lidocaine, are needed for pain control. To begin the procedure several tiny incisions are made which allow access the vein. These incisions are about 1/8 of an inch long, small enough so that stitches aren’t necessary. Completing the treatment is simple. The surgeon inserts a small catheter to deposit medical grade adhesive at strategic points in the vein, sealing it shut. 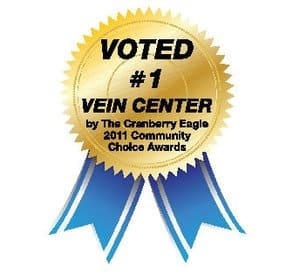 The blood begins to flow through nearby healthy veins which instantly eliminates venous reflux. Two other closure techniques are currently in use today yet VenaSeal is by far the least invasive. Only a small amount of local anesthetic is needed at the incision sites. This means very few needle sticks are involved which increases comfort and reduces the risk of infection. Bruising is almost nonexistent. Since VenaSeal doesn’t rely of heat there’s no risk of thermal injury (burns). There’s also virtually no chance of causing nerve damage, which can occur very rarely with comparable heat-based treatments. In the majority of cases patients can return to their normal activities immediately, including exercise. It’s also not necessary to wear compression stocking. In contrast, older techniques typically limit activities for up to two weeks and compression garments are mandatory during this period. The VenaSeal System is exceptionally safe and effective. Even the least invasive procedures, however, carry some small level or risk. Minor allergic reactions to the surgical adhesive can occur in extremely rare cases. These are almost always minor and resolve quickly. Very minor surface bruising can also occur. Finally, any time the skin is broken there’s the potential for infection. In even rarer cases blood clots can form in the veins being treated. Should they break loose from the vein wall they can travel through the circulatory system, occasionally becoming lodged in the lungs. This is known as a pulmonary embolism which can be life threatening in some cases. Before undergoing any type of surgery the risks must be weighed against the benefits. This being said, VenaSeal has an almost 100% success rate and has very, very few risks associated with it. Two other minimally invasive technologies are currently being used to treat Chronic Venous Insufficiency (CVI). Both are safe, effective, and yield results which are indistinguishable to those of VenaSeal. They are, however, slightly more invasive and cause more downtime. Also note that compression stockings must be worn for approximately 2 weeks following these procedures. Endovenous Laser Treatment (EVLT). 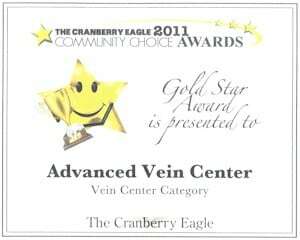 This procedure uses highly focused laser energy to produce heat which damages the walls of the vein being treated. This permanently seals the vein..
Endovenous Radiofrequency (RF) Ablation. This procedure is almost identical to EVLT. 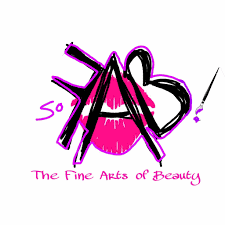 The only real difference is that Radiofrequency (RF) energy is used to produce the results. Q: Are there any other any other requirements which must be met? 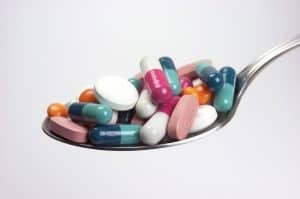 The use of over the counter (OTC) pain relievers such as Motrin (ibuprofen), Aleve (naproxen sodium), and aspirin. Elevating the legs. If you’ve sat in a recliner chair or propped your legs up in any way then you’ve met this requirement. Wearing compression stockings. The majority of patients who seek professional treatment have tried compression hose at some point. If you haven’t, simply wear stockings for a few months before scheduling your procedure. Modify your activities. Again, if you experience symptoms severe enough to seek treatment you’ve most likely had to curtail your physical activities somewhat. This can be as simple as having to take a 90 second rest after standing for long periods. Q: What if my insurance claim is denied? A: any time benefits are denied you’ll receive a written explanation known as an Explanation of Benefits (EOB). This will state the reason your claim was rejected. A good example is failing to try conservative treatments first, i.e. not wearing compression hose. The solution is usually simple. Wear prescription stockings for the required period of time, then schedule an appointment for re-evaluation. 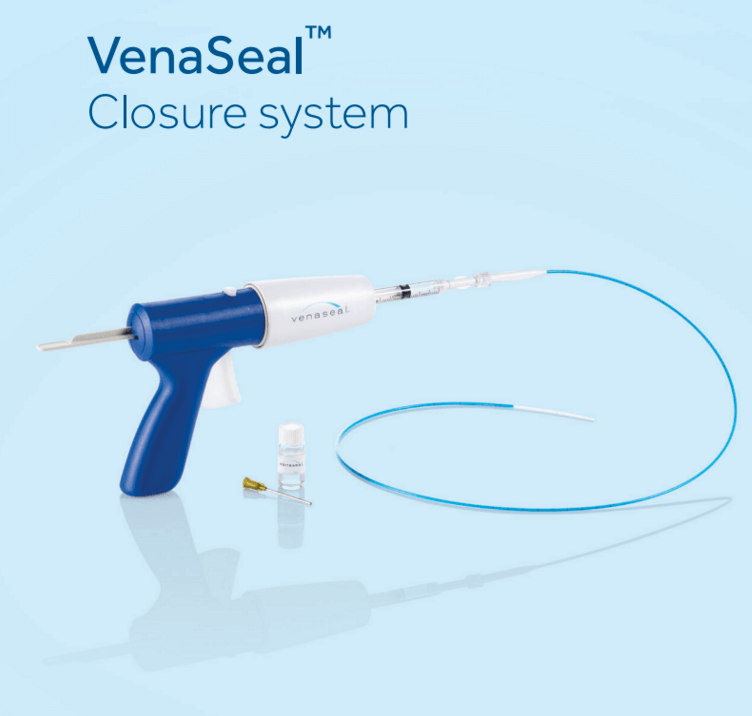 The VenaSeal™ closure system is minimally invasive and catheter-based. As such, it may involve the following risks. Your doctor can help you understand these risks.